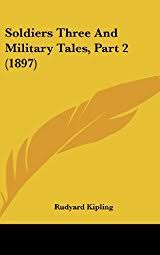 'The Complete Works of Rudyard Kipling: 5 Novels & 440+ Short Stories, Complete Poetry, Historical Works and Autobiographical Writings (Illustrated)' is formatted for your eReader with a functional and detailed table of contents. Table of Contents: Novels: The Light That Failed Captain Courageous: A Story of the Grand Banks Kim The Naulahka: A Story of West and East Stalky and Co. Short Story Collections: The City of Dreadful Night Plain Tales from the Hills Soldier's Three (The Story of the Gadsbys) Soldier's Three - Part II The Phantom 'Rickshaw and Other Ghost Stories Under the Deodars Wee Willie Winkie Life's Handicap Many Inventions The Jungle Book The Second Jungle Book The Day's Work Just So Stories Traffics and Discoveries Puck of Pook's Hill Actions and Reactions Abaft the Funnel Rewards and Fairies The Eyes of Asia A Diversity of Creatures Land and Sea Tales Debits and Credits Thy Servant a Dog Limits and Renewals Poetry Collections: Departmental Ditties Ballads and Barrack-Room Ballads The Seven Seas An Almanac of Twelve Sports The Five Nations Songs from Books The Years Between Other Poems Military Collections: A Fleet in Being France at War The New Army in Training Sea Warfare The War in the Mountains The Graves of the Fallen The Irish Guards in the Great War I & II Travel Collections: American Notes From Sea to Sea Letters of Travel: 1892 - 1913 Souvenirs of France Brazilian Sketches: 1927 How Shakespeare Came to Write the 'Tempest' Autobiographies: A Book of Words Something of Myself Joseph Rudyard Kipling (1865-1936) was an English short-story writer, poet, and novelist. He wrote tales and poems of British soldiers in India and stories for children. He is regarded as a major innovator in the art of the short story; his children's books are classics of children's literature; and one critic described his work as exhibiting 'a versatile and luminous narrative gift'.